Can a non-fiction war story be overwhelmingly cheesy and pulp-fiction-type sentimental? Oh yes. I have to stop myself from being too venomous - after all, criticising authors with war experience is such a faux pas, isn't it? - but sugariness of Goodbye Sarajevo released all the ugly instincts within my soul. I've read quite a few war journals, and most of them were a literary equivalent of a kick into the head. Asne Seierstad is a good example here. As unpleasant as it sounds, wars provide stories that stand on their own. Stories that don't need sentimental enhancements. 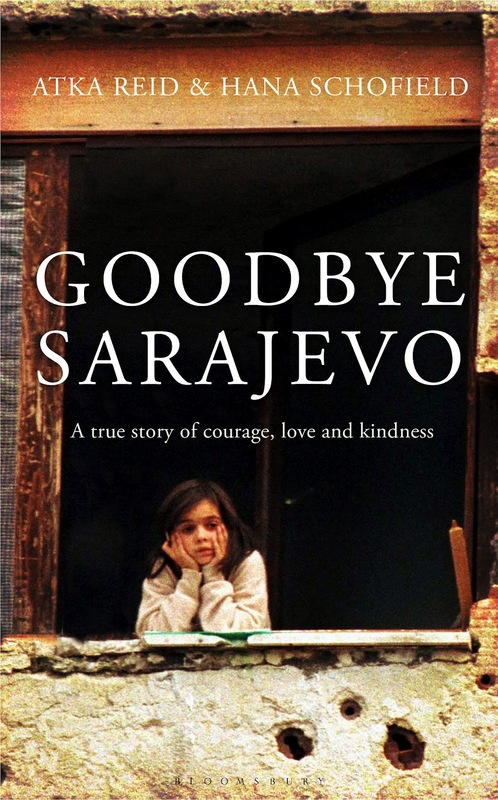 Goodbye Sarajevo reads like a romance. A modern day Gone with the Wind, perhaps, on less monumental scale. It has the same glue-the-reader-in ability - but so do soap operas. Emotions, the way they are described, feel fake and overloaded, manufactured, I felt, in order to rescue the otherwise weakish story. Because, if you compare this book's story to other war accounts, it appears a picnic. An account of 'what-might-have-happened-but-did-not'. A story of one damn lucky family, considering the circumstances. The only thing that saves it are... jokes. Jokes about exploding shells, exchanged in the bread queue, or similar. That feels real. Oh, and the frequent use of the f-word. The authors are rather good in describing day-to-day affairs in the besieged city, but when it comes to emotional complexity or politics... well, I'd rather not say. Keeping the venom in check, remember? I've targeted another book written from besieged Sarajevo and it's on my reading list now. I'll review it here as soon as I'm finished, just to have something to compare Goodbye Sarajevo to. Check back in another week or so :).